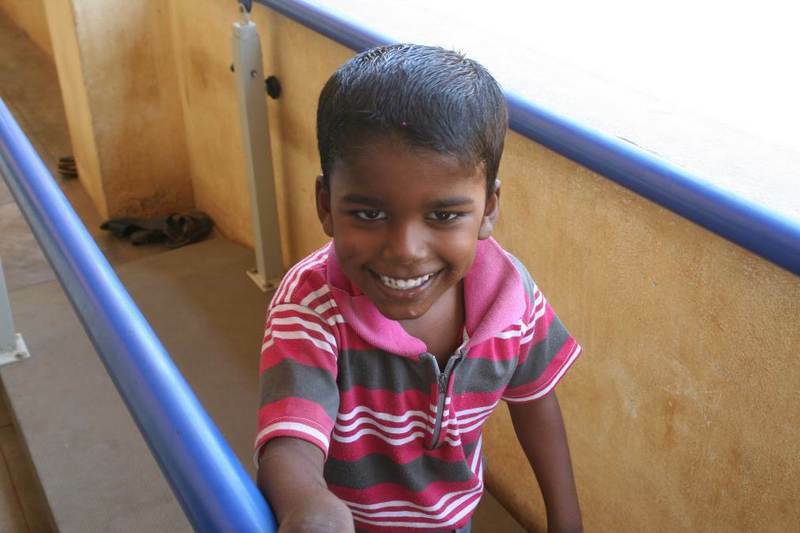 Early in 2009 we were approached by Pastor Santhosh Kumar, who has a severely disabled son. This alerted him to the fact that there are many other disabled children in the area around AP Nadaroor, the village where he lives. 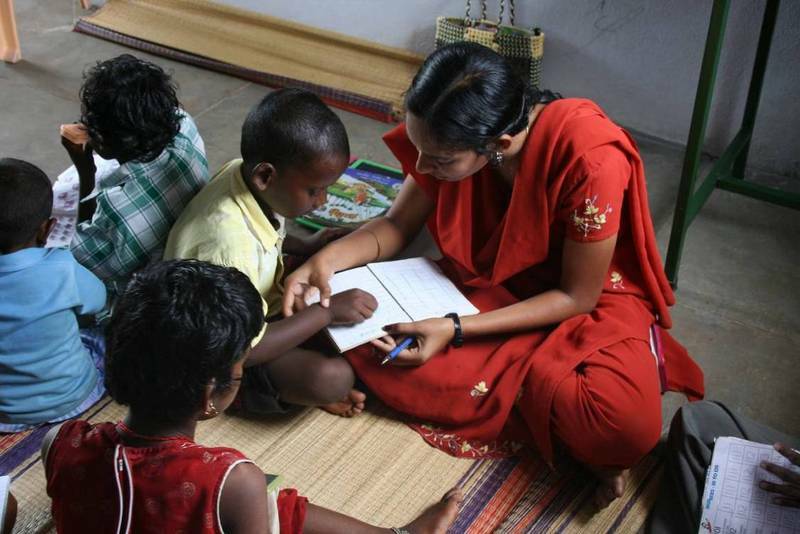 Indians tend to regard a disabled child as a cause for shame, and so they hide them away, depriving them of the stimuli that they need to develop and so making their conditions even worse. 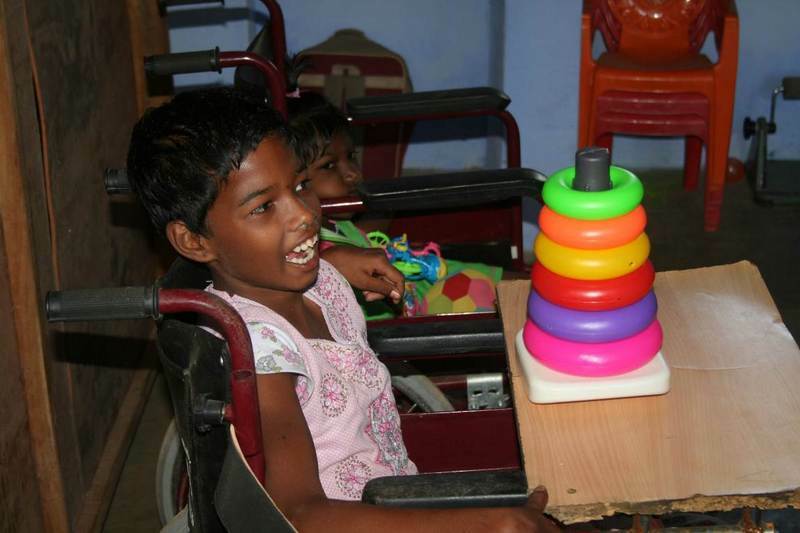 Pastor Santhosh had a vision for a centre where disabled children could be helped and trained to overcome their disabilities as far as possible. It would be the first of its kind in the area. Newport and Strathaven Scouts were both interested in helping us at HHI, and together they raised more than enough money to build a purpose-designed and built facility. We continue to help fund the running costs, but Pastor Santhosh raises an increasing proportion himself from well-wishers, families of the children who are helped, and a Government grant. The vision is that Pastor Santhosh will increasingly assume responsibility for more and more of the running costs, but for the time being we need to raise about £500 a month. The centre opened officially in August 2009 as a day centre, having been running on a small scale in the church building before then. It quickly obtained government recognition, and over the years it has attracted a lot of attention as a model of excellence. It has expanded over the years, and now offers residential accommodation for children who cannot commute daily. Currently 20 to 30 children are brought to the centre by autorickshaws (small taxis) and larger vehicles each morning. The homes of a further 20 or so children are too far away for them to commute daily, and these live in the centre. All the children have a varied programme of physiotherapy, academic teaching which is tailored to their various abilities, games designed to develop their physical abilities, vocational training and so on. They also receive mid-morning milk and a nourishing lunch. 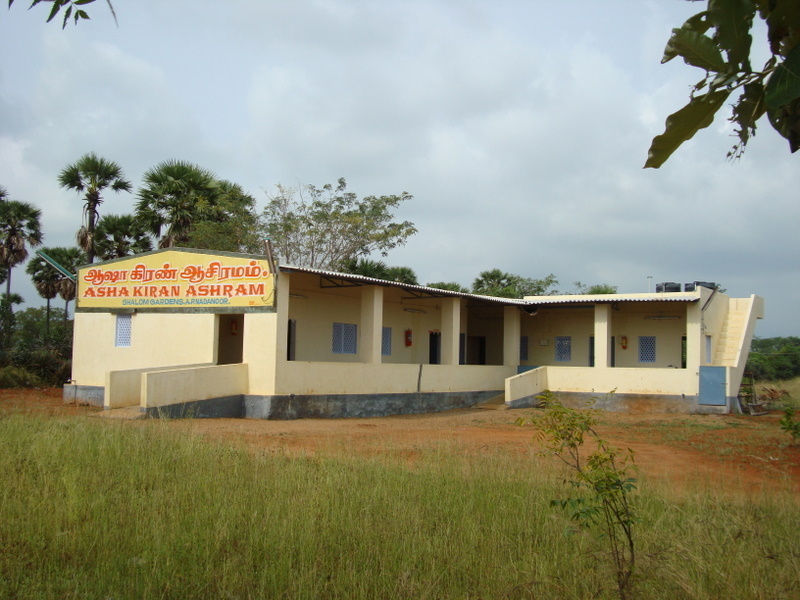 The staff include five teachers, five classroom assistants, a part-time physiotherapist, a cook and an administrator. At the end of the day all the day children are taken back home. Each child is carefully assessed when they join, and a structured programme of three-month targets is set for each so as to make sure they develop in a balanced way. These are reviewed regularly and updated with more demanding targets as appropriate. Children who need physiotherapy receive it, and we are investigating the possibility of providing speech therapy as well, subject to funds becoming available. Over the years, children have grown, developed and learned. Immobile children have been enabled to move, and some who could not even sit up can now stand and walk. Some have been enabled to join, or rejoin, mainstream education, and others have been placed in appropriate employment. Parents have reported that their children are developing beyond their wildest dreams. The next stage in the development is to expand the buildings with a dedicated physiotherapy hall. At the moment there is no dedicated space for physiotherapy; the treatment takes place on the verandah or on a bed in the residential unit, and the equipment is dispersed wherever it can be housed. There is space in the corner of the site for a large room that would be ideal; such a room would allow the centre to offer physiotherapy to more people who need it, but cannot afford it. Building costs in India have shot up; a suitable room would now cost about £10,000. We do not have the funds, so we will be approaching charitable trusts. If anyone knows where we can get this sort of money, please let us know! I did it – despite cerebral palsy!